Choose between the lower or upper half of the Rhine Gorge. 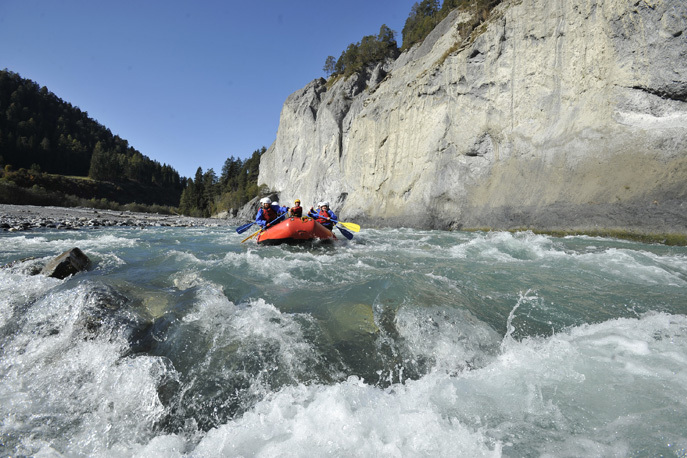 During the day tour you can experience the entire Rhine Gorge from Ilanz, the first town on the Rhine, all the way to Reichenau. 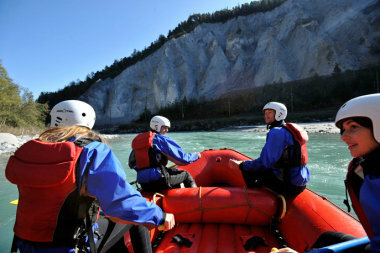 In the safe hands of our rafting guides, you paddle your way through a uniquely stunning river landscape. You’ll experience exhilarating rapids, enjoy a delicious lunch on the river bank and savour relaxation amid the great outdoors. Floating past gravel banks, you can listen to the stories told by the boatman, take a swim alongside the boat or jump from the rocks into river. The day’s tour through the Rhine Gorge offers the perfect combination of a close-to-nature experience and adventure and thrills. The rafting trip can also be booked as a half-day tour. The barbecue on the river bank is truly legendary. Unwind, relax and cool your feet in the refreshing water of the Rhine. 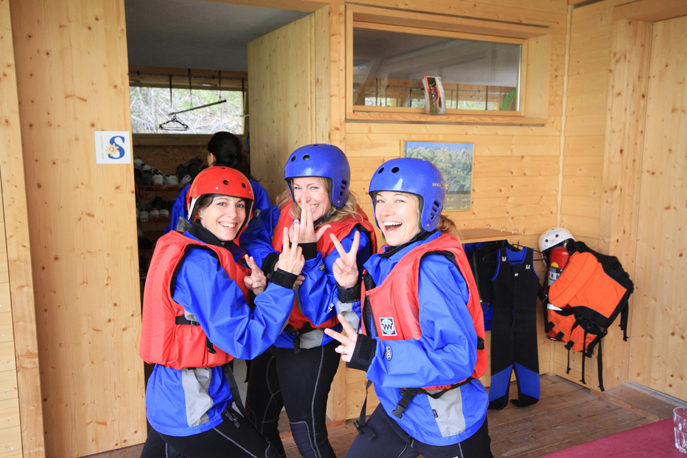 Experience the ultimate combination of fun and action and stunning natural scenery. Swimwear, thin socks (will become wet - for wearing under the neoprene socks), old trainers or similar shoes (for the trip – they will become wet), possibly a thermal vest, bath towel, sun and rain protection.